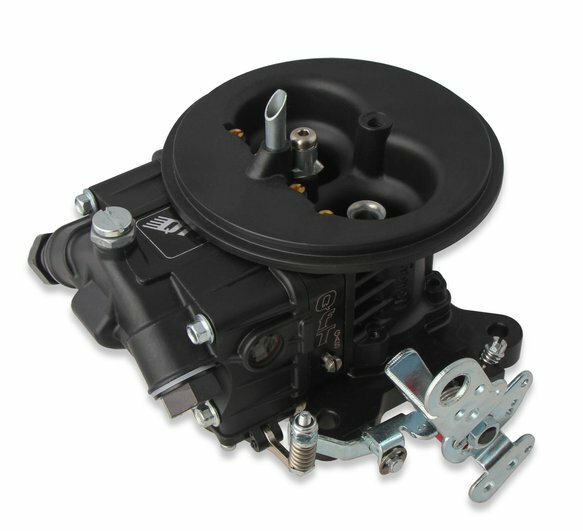 In circle track classes that mandate two-barrel carburetors, customizing a street carburetor has been the norm for decades. Not anymore. 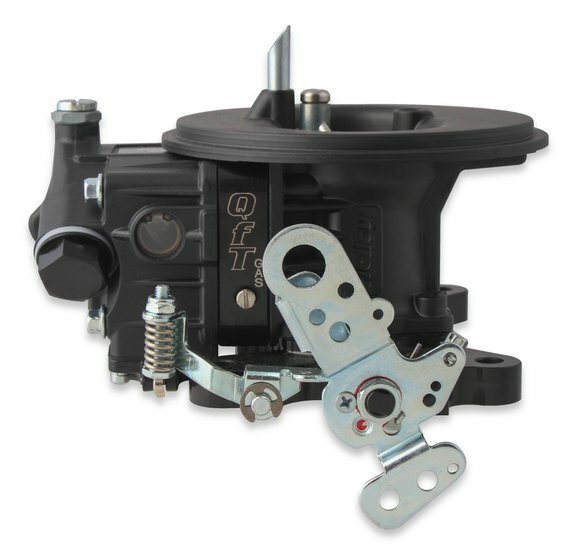 Designed from the ground up to meet the unique demands of circle track racing, QFT's new XP-Series offers the performance benefits of a custom carburetor in an affordable, turnkey, class-legal package. 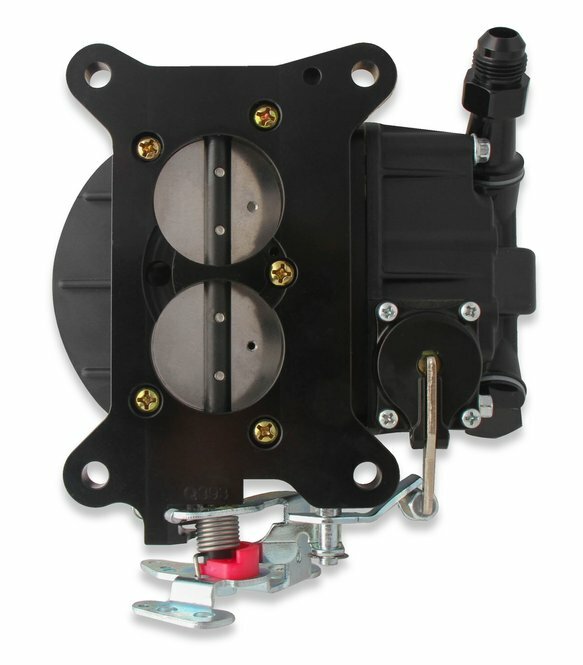 At a bare minimum, modifying a standard street carburetor for circle track duty typically involves changing the throttle-plates, floats, and metering blocks. 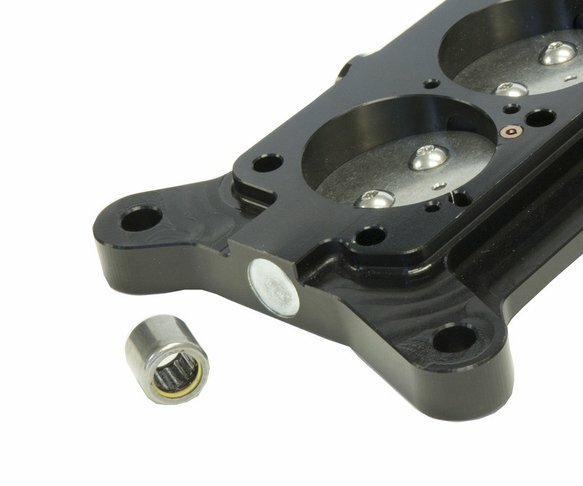 These custom modifications can easily exceed the cost of a turnkey QFT two-barrel carb while still lacking many of the key features that only a clean-sheet redesign can offer. 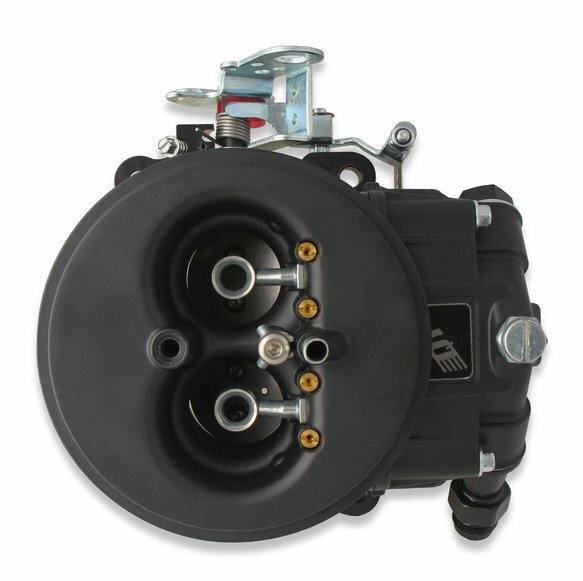 A high-flow aluminum main body design centers the venturi over the throttle-body assembly. To further increase airflow, QFT centers the air horn over the venturi, removes the choke tower, and carefully profiles the air inlet transition. The result is enhanced airflow and fuel distribution, which improves throttle-response and horsepower. All XP-Series carburetors are equipped with roller bearing seals which provide smoother throttle response, less wear on shaft, and longer life. 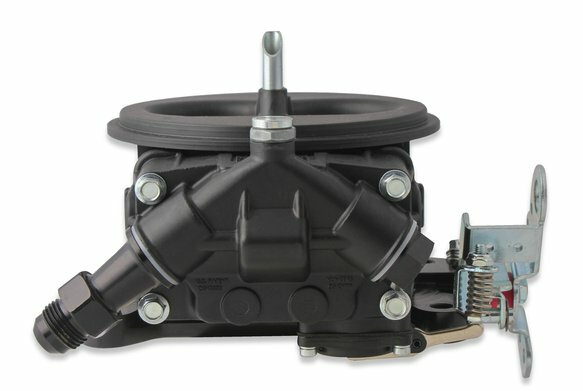 Available in 500- and 600 cfm sizes, the XP-Series sets a new standard in two-barrel circle track carbs. 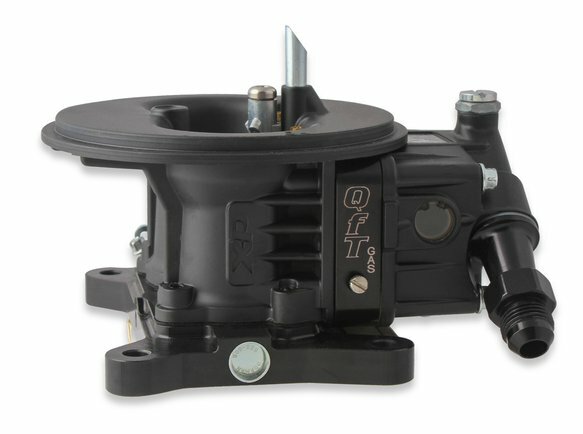 •High-flow aluminum main body with centered venturi for improved performance and better air/fuel distribution •Black anodized billet 2-Circuit metering block and throttle body •Throttle body incorporates roller bearing seals which provide smoother operation, less wear on shaft, and longer life •Anti-siphon check valve in main body to reduce pump pull-over •Changeable emulsion bleeds and power valve channel restrictions for better tuning capabilities •Dual inlet fuel bowl with #8AN fittings •Dual sight glass windows for easy float adjustment •Single wedge circle track float •Exclusive Black Diamond® coating for enhanced corrosion protection and appearance. Provides a 6% reduction in fuel temperature.